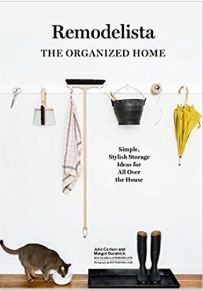 In this Q&A, Margot Guralnick ’83, coauthor of Remodelista: The Organized Home, speaks about her new book. The website, The Organized Home, features daily tips and ideas on discovering the art of order. Q: The current organizing philosophies are all about order over beauty. You believe order doesn’t have to be artless. Tell us about how you developed your philosophy. A: This idea is part of the core philosophy at Remodelista. 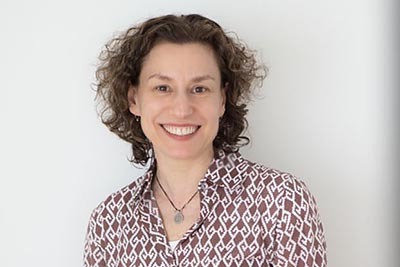 We’re a 10-year-old website that Julie Carlson, my coauthor, founded to demystify the home design process and celebrate pared-back living. So we, of course, took an interest in Marie Kondo and the whole decluttering movement. Noting that the focus was on clearing out with no mention of how to live well, we felt compelled to join the dialogue. Q: Were you a collector as a child? A: Yes, I’m a born pack rat and a sentimentalist! I was so drawn to vintage things as a kid that I started accompanying an art collector friend of my mother’s to far away flea markets on weekends. My specialty was ephemera: old advertising trade cards because I loved the graphics. Q: What’s your favorite object and the story behind it? A: As a teen, I bought an odd lot at a New Hampshire auction that included a 19th-century geography book a young boy named Amos Andrews re-covered in oil cloth and turned into his scrapbook. It contains his pressed leaves, a cutout paper silhouette of Lincoln, a crayon flag labeled “Our Dear Union,” and a class ranking list in which Amos appears last. Q: You’re a lifelong collector who began your career at Sotheby’s auction house, but you’re “happily married” to a minimalist. How do you make that work? A: Fortunately, neither of us is a total extremist. But having separate storage areas has been a boon. The house we’ve lived in for the last 23 years has a two-room basement: his and hers. Q: Can someone be both a minimalist and a collector? What’s the key? A: Sure, the key is to be selective and avoid bringing home everything that catches your eye. Also, keep in mind that you don’t have to have all of your collections on display: you can rotate favorite objects in and out. For me, that’s where the basement comes in! Also, as we teach in the book, most of the things we live with should be useful and beautiful. From dishware to wastebaskets, select well-made everyday household items that work well and make you happy. You’ll discover you don’t need—or want—much more. Q: You call the book a guide for life, and you say “the goal isn’t flawless, impossible-to-maintain showcase. The aim is an unencumbered life in a house that makes you happy.” If your house reflects your peace of mind, how do you declutter your mind to match your house? A: I clear out my head on dog walks with our mutt, Enrique. Along the way, I collect leaves and other natural bits and pieces that I turn into mandala-like arrangements on the ground and then photograph: you can see my work on Instagram @dogwalkdiarynyc. I started making these arrangements as a way to collect and order things without bringing them into the house. Dog Walk Diary has now become a daily ritual for me. Q: When we start decluttering our home, where should we start? A: Start somewhere small but meaningful. The entry is a favorite because it has simple requirements: you just need to establish a good place for outerwear, shoes, keys, and mail—and remove all the rest. Hang some coat hooks or a Shaker wooden peg rail (available from the Container Store, among other places) and gather shoes on a metal tray or in a storage bench or basket. The results will improve all your comings and goings. Another great space to tackle is your junk drawer. Take everything out, insert dividers (you can use a cutlery tray for this), and turn it into a household tool kit, so you can always put your finger on a screwdriver, flashlight, or tape measure. As for all the other wayward items in your junk drawer, they should either be given a logical new home or deaccessioned. Think how nice it is to always know where your forks, spoons, and knives are—and apply that concept all over: it’s deeply satisfying to establish a place for everything! Q: Which room in your house is the hardest for you, personally, to keep organized? A: The kitchen is one of the most orderly rooms—because of all the built-in systems, such as shelves and hanging racks. But it’s a place where I often neglect to remove the unused and excessive, such as specialized gadgets (my dusty immersion blender) and unloved, space-hogging pots and pans. We recently weeded out all of the expired pantry goods and it felt as if the space itself had shed several unwanted pounds. Q: Youu break down organizing challenges into simple tips and tricks. Do you have a favorite tip to share? A: Shop your own house. As we show throughout the book, most storage challenges can be solved using things you already have on hand—so there’s no need to go out and buy more. Corral kitchen sink necessities on a small tray, put a metal office file rack to use on a closet shelf for lining up pocketbooks, keep your toilet brush out of sight in a terracotta flower pot—every chapter is filled with DIY ideas.